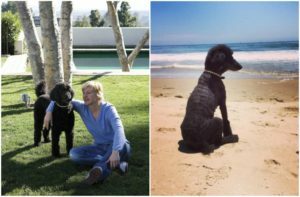 American TV host Ellen DeGeneres and her wife Portia de Rossi decided to take a responsible step. They adopted a Kid. Why from a capital letter? That’s because the Kid – it’s a nickname of their new dog. 57 year-old Ellen announced the new addition to their family in social network. 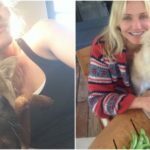 She wrote that from that moment on they have a puppy called Kid with Portia. DeGeneres also explained why she’s chosen this name for a dog. People always asked Ellen when the couple would adopt a child, and those talks irritated them both. So as a result, the girls decided to name the dog Kid in order to answer that they already have a Kid. 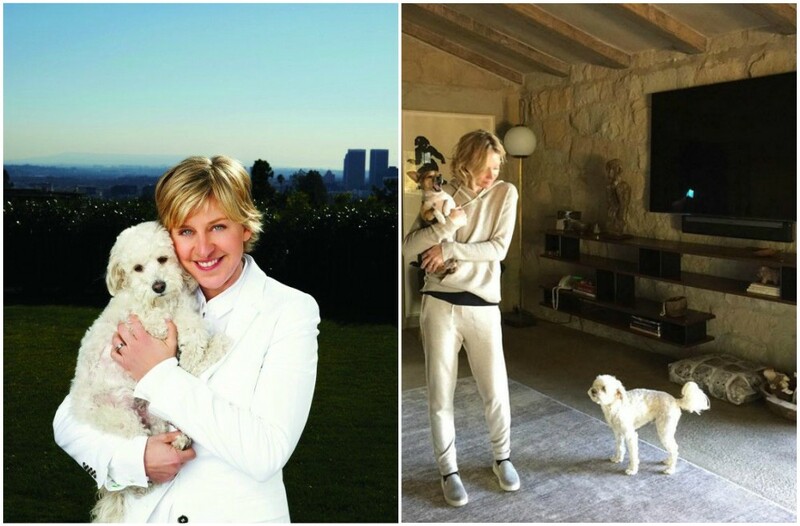 Note that Ellen and her lover already have two dogs. 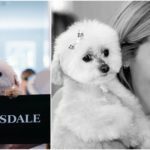 They are Woolf – a mix of poodle and Maltese, and Mabel – the most common Poodle. However, not everything was as bright as it is now. 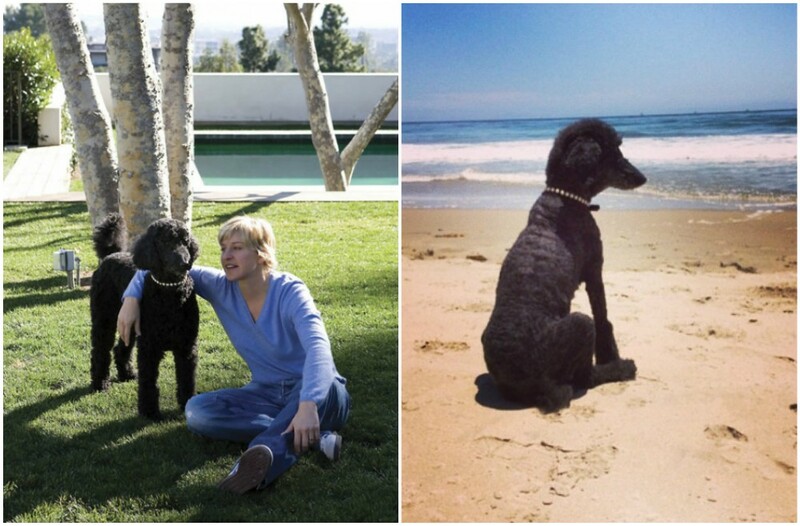 In September 2007, Ellen and her fiancée Portia de Rossi took a dog from a shelter – puppy nicknamed Iggy. Girls spent three thousand dollars for the castration of the animal and the purchase of all the stuff and toys. Iggy was too violent, and did not get along with cats, which had already lived at Ellen and Portia. 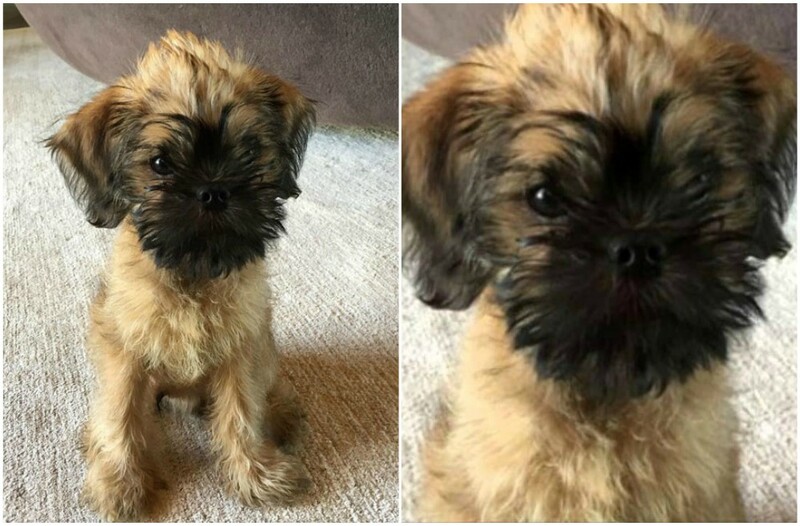 So Ellen had to give a puppy to her hairdresser and his two daughters. The next day the Iggy was brought back to the shelter. Why? 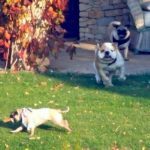 The point was that while adopting, Ellen signed a paper that in case if she wouldn’t be able to take care of the dog it should have been taken back to the shelter. In addition, the couple have 3 adorable cats. 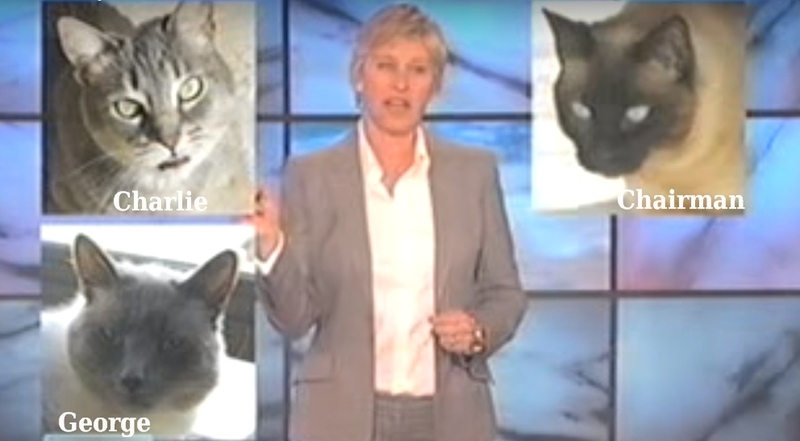 Ellen says that she likes the dogs of any breed. If she could, she would have adopted 15 cats and 20 dogs. 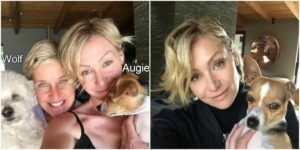 The spouses have enough space and they continue saving all pets that they can, and that’s why there was a situation like with Iggy. Nevertheless, the couple believes in a harmonious balance – they do not force animals to live with them.